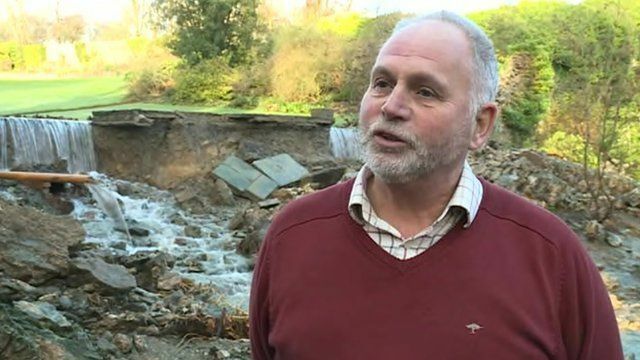 A historical walled garden has been "devastated" by floods which have washed away a 200-year-old wall and rare plants, its owner has said. Anthony Tavernor has been restoring Plas Cadnant Hidden Gardens, near Menai Bridge, on Anglesey for 20 years, describing it as his life's project. But after days of heavy rain, a "tidal wave" of flood water swept through the garden in the early hours of Saturday. Mr Tavernor said he was "absolutely devastated".